Comment: I would like to get an estimate for waterproofing basement. Comment: I would like to get an estimate for waterproofing. Comment: I would like to get an estimate for having some repairs done to the home we had heave rain last week and we just got the house and there was mold and where the mold was removed there is water coming. possibly may need gutter and downspout work as well as foundation drains or something to help with water proofing the basement. 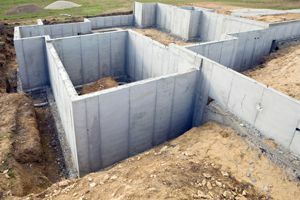 Comment: We are a general contractor looking for a mason to excavate and do a rear addition concrete crawlspace foundation in Ridgewood NJ. 15 A Iron Horse Rd. Walter MacDuff Plumbing and Heating, Inc.
Hackensack Foundation Contractors are rated 4.66 out of 5 based on 1,156 reviews of 26 pros. Not Looking for Foundations Contractors in Hackensack, NJ?